Lavi group promises to get MKs involved, after school threatens those who protest anti-Israel event - even by just waving the flag. Members of the Likud-affiliated Lavi student society at Haifa University sought to wave Israeli flags and counter-protest a Nakba Day ceremony held on campus by members of the Arab student groups this Sunday. However, the university's management refused their request to counter-protest, and even threatened them with expulsion. Nakba (catastrophe in Arabic) is how the Palestinians refer to the Arab states' inability to destroy the fledgling state of Israel in 1948, and consequentially Nakba events mourn the existence of the state of Israel. Haifa University's Lavi student society chairperson Daniel Siglov told Arutz Sheva that he does not intend to let the matter pass. "We already asked ten days ago, at a meeting of the student groups with the student deacon, to hold an event against the Nakba ceremony," said Siglov. "We submitted the request but the university rejected the request and even threatened that those who protest will be summoned to a disciplinary committee and even suspended from studies." According to the student group head, the university did not even permit them to wave Israeli flags at the site of the event on campus. "The Nakba ceremony took place as normal, there were those who tried to protest and they folded them up within five minutes, they didn't even let us lift the flag of Israel," he said. Siglov said he intends to get politicians involved in the matter, saying, "we will work on other fronts, maybe legislative (ones), through Knesset members, in order to stop the marking of Nakba Day at the universities. There is no room for marking a day of mourning over the state of Israel." In contrast, at Tel Aviv University a counter-protest was held with students, activists and even ex-MKs opposing the Nakba event that lamented the foundation of the modern Jewish state of Israel. In response to Siglov's report, Haifa University stated that according to the university's guidelines, protests can only take place on specific dates, "and therefore members of the Lavi student group were not authorized to protest at the date they requested." "Haifa University acts according to the law and court rulings and will authorize any public activity as long as it is done while observing the laws of the state and in accordance with the regulations," added the university. It noted that the Nakba ceremonies were student group events and not events of the university, and therefore the students were responsible for the contents of the events. The management also pointed out that while it permitted the Nakba Day event, it also gave the Zionist group Im Tirtzu permission to distribute pamphlets and materials against the event, allowed Jewish Home to hold a demonstration supporting IDF soldiers, and next week an Im Tirtzu protest against Nakba Day has also been approved. "If the Lavi student group asks to hold a protest next week on dates that are possible according to the regulations, it is anticipated that it will be given permission," added the university in response. 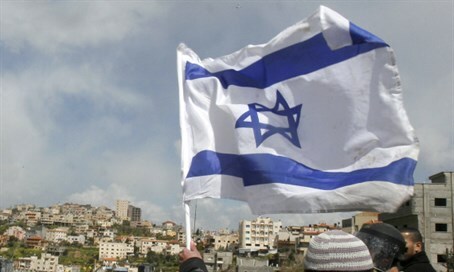 Finally, noting on the report that Israeli flags were banned, the university said "dozens of Israeli flags are raised with pride at Haifa University, and it is unthinkable that at an Israeli university there would be any kind of ban against bearing the Israeli flag."